Analyst days are pretty common in almost any industry, and employment is no different. Basically, a company brings in influencers for a glimpse into the company and its place in the market. It’s sort of a State of the Union for companies. 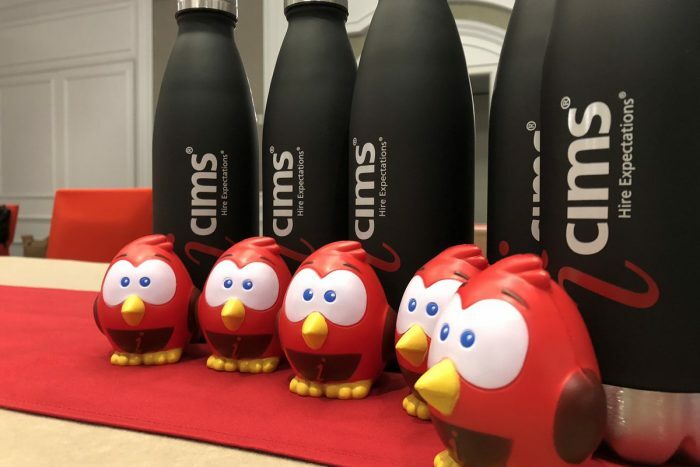 This week, iCIMS had its version of analyst day, dubbed “iCIMS Influence,” at its headquarters in New Jersey. I was in attendance. Although most of the commentary and presentations focus on the company exclusively, much of what’s said can be inclusive of many companies dealing with similar dynamics and challenges. Here’s a rundown of some of the event takeaways I think are worth sharing. Achtung Middlemen! Applicant tracking systems are a direct line to job postings with employers. When a job board outranks an employer on Google, and that seeker goes to a job board, registers with said job board, then has to go to the ATS in order to apply, that’s a bad experience. It’s a big reason why Google for Jobs launched, and companies like iCIMS see themselves as a direct line from Google to the company, and they’re going to take advantage. Day talked about working closely with Google to give it exactly what the search engine wants as far as data, and even talked about slowing down the frequency of scrapes by job sites like Indeed to make sure the company gets credit as the original source for a job instead of a vendor. Another warning to middlemen. As with anything online, anyone in the middle is in danger. While job boards lie between Google — which Day says 80 percent of the job search activity starts — and the company web site, vendors like Jibe, Phenom People, and The Muse lie between the company branding and the job postings. Historically, companies in the middle used to provide services like mobile and SEO, because ATS’s didn’t provide this initially. When ATS’s flipped the switch, those vendors disappeared. Now, vendors who provide branding are in the crosshairs. Coming in 2019, iCIMS will launch a product called Attract that will empower companies to own the entire corporate career site experience, from the branding and informational pages to the job search pages. Google, mobile messaging, and automation. These three trends are paramount. Day called Google getting into employment the most disruptive thing he has seen in 20 years, noting that “Google wants the $15 billion that job boards have been enjoying for the last 20 years.” On messaging and mobile, the numbers don’t lie, highlighting how mobile the world is becoming. TextRecruit‘s founder and CEO Erik Kostelnik rattled of stats like 23 hours a day a smartphone is within arms reach and an average of 128 texts are sent by mobile users everyday. TextRecruit was acquired by iCIMS in January 2018. Automation was also a highlight, with Kostelnik saying “Human communication shouldn’t happen until the interview.” Everything at the top of the funnel can, and will be totally automated, he added. TextRecruit facilitates communication with over 11 million unique candidates, equating to 5 percent of the U.S. working population. Day said 60 percent of incoming traffic to its properties came in via mobile. Enterprise or die. In a world where Google, Facebook, and LinkedIn are (or will be) offering small and mid-sized businesses a cost-effective way to source, manage, and hire talent, the vendors who can provide enterprise-level services have the best chance of thriving, while smaller players will suffer and fade. The world of HR tech is changing rapidly, mostly thanks to big players like Google jumping in, and companies who service employers need to adapt accordingly. Nowhere was this fact clearer than at iCIMS Influence, and companies who aren’t evolving — or stuck in the middle — will likely get run over.